Many artists paint on canvas and it carries a lot of history and romance, but really you can paint on almost any surface provided it’s prepared properly. Wooden panels have been another popular choice for centuries. The biggest problem with wood is SID (support-induced discolouration) where chemicals from the wood (the support) leech through into the paint and changes its colour. Hardboard panels are reportedly a safe, archival wood to use due to it being produced using just glue and wood fibres, without any other chemicals. In contrast, mdf, which is also popular, contains formaldehyde which is thought to potentially cause SID. It’s difficult to know what’s true and what isn’t, but considering how cheap and available hardboard is, I don’t see any point in using anything else. Regardless of what you choose, you must at least prepare and prime it properly before painting if you want it to last. I get mine from B&Q who sell a large piece (approx 72″ x 24″) for less than a tenner and will even chop it for free in some branches. The last piece I bought got me 6 panels – 2 larger (24″ x 18″) and 4 smaller (18″ x 12″ – half the size of the large). Not bad value for money. There is as much advice online about preparing panels as there’s is about the wood itself. I’ve found 2 products which I use which gives me the smooth, untextured, slippery painting surface I’m after. Firstly I add 3 coats of gesso. You’re supposed to size the wood with glue to help seal it against SID before you gesso, but I use Jackson’s acrylic gesso which specifically says you don’t need to size, allowing me to skip a step. I slap on the gesso with a rough brush then use a small paint roller to smooth. This isn’t completely necessary but I find it goes on evenly and dries faster this way. 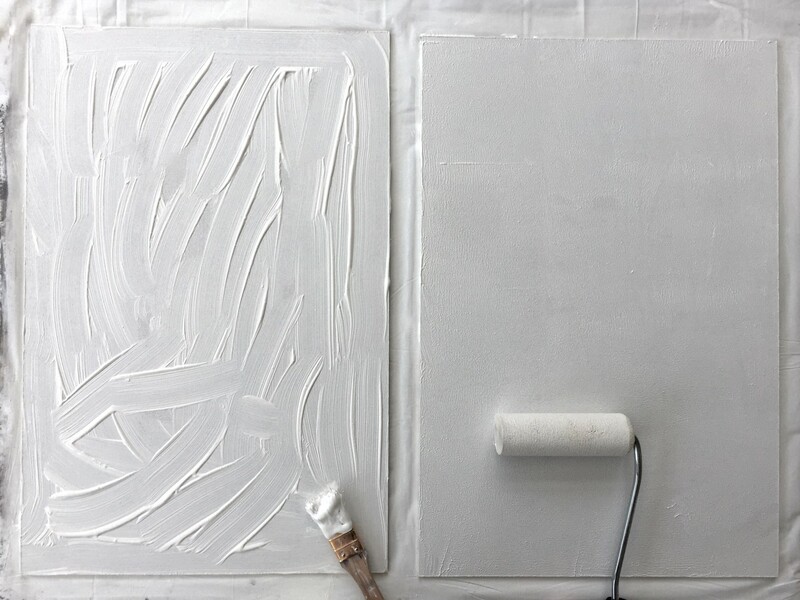 Just don’t press hard with the roller as you’ll take off more gesso than you add. After the third coat has dried I lightly sand the surface until it feels reasonably smooth when I run my hand over it. Finally, I add a thick coat of my favourite primer, Jackson’s thixotropic alkyd primer. Crack open the windows as its hazardous and smells. There’s no need to use a roller as it’s like gloss paint and will run into itself to make a surface smooth like an ice rink. Leave to dry for a day or so and you’re good to go. This is of course just my preferred method and outcome. I’d recommend trying different gesso, primers, and no primer to see what kind of surface you prefer – rough, smooth, absorbent or non-absorbent.